Got your attention? Good! 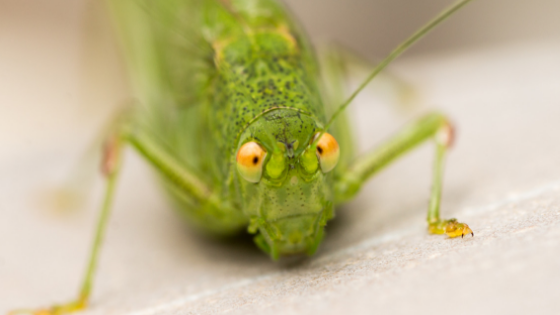 Listen up, grasshopper... careful what you think you know! 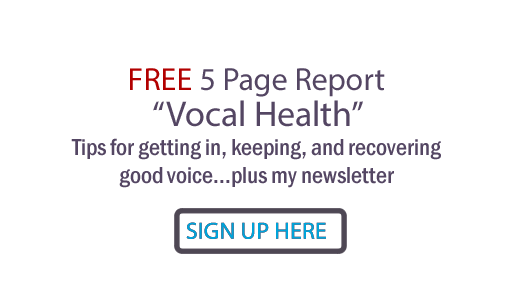 Misunderstanding new vocal techniques, vocal exercises and corrections suggested by a vocal coach can at best do your voice no good, and at worst cause vocal harm! And yes, this goes for my vocal training, too. No matter who you take lessons from, here's the bottom line: Any change you make to the way you use your voice should cause your voice to feel and sound BETTER, not WORSE! To that end, here are some clarifications to make sure my training HELPS you! Most people push too much air when singing and speaking. This causes unnecessary stress to the vocal apparatus, including dehydration of the mucus covering of the vocal cords. It also leads to a tightening of the throat channel, limiting resonance and range along with a host of vocal control issues. A parallel is atomic energy... just enough and the grid is powered, a little too much and you blow the place up! To get breath support (breath sent to your vocal cords) and breath control (breath held back from your cords) balanced so the voice is confidently powered but not 'blown', I use the term 'pull' instead of 'push' for vocal power. If you interpret my suggestion as meaning pull chest voice up too high, you will definitely strain your voice. Pulling chest voice is typically interpreted as singing too high in unmixed lower register. It's an abusive way to 'belt' your voice, and leads to vocal strain and eventually, damage. Another misinterpretation of my suggestion to pull is to pull your mic away from your mouth. It doesn't take much for the mic to lose your voice's signal, and pulling very far will quickly get you on the bad side of your sound person trying to get your volume consistent! Instead of moving your microphone away from your mouth, just give it a little squeeze, slightly twisting your torso so you are a bit taller. This move can be almost imperceptible... like avoiding a space invader with bad breath. That works with most people! Try this experiment: Put the palm of your hand in front of your mouth and say the word 'three'. I bet you felt a big puff of air on your palm. Now say the word again, but this time, try to limit the breath you puff into your hand. You just experienced the difference between pushing and pulling your voice! Like a boxer pulling her punch to avoid full contact with a sparring partner, you can control your air stream! Now try the phrase 'three pretty felines', first pushing the 'th, 'p' and 'f', and then try pulling those consonants. You may realize that pulling not only controls excessive breath but also increases your vocal volume! This is because done correctly, pulling will open your ribcage, increasing your breath efficiency, AND will open your throat channel, giving your voice access to more resonation. To get this pulling sensation into your muscle memory, you should create the sensation with every vocal exercise you do. Straighten the upper curve of your spine a little flexibly taller when you make a vocal sound, moving your head back over your heels instead of forward over balls of your feet. Other phrases that trigger this pulling action include 'power your voice like a magnet', and 'resonate like strong coffee, don't dilute your sound with excess air'. I have developed certain little catch phrases to crystallize complicated vocal technique concepts into easy to remember corrections and habits. I use this phrase to trigger the most efficient use of breath. You do want enough of a breath to expand both your ribcage and your throat channel, increasing breath control and opening the throat path to resonation zones. But at the same time, it really doesn't take much breath to vibrate the vocal cords confidently and strain-free! Holding your breath is the wrong way to interpret this phrase. You actually need to support your voice with breath, in fact, your voice should always be riding on a thin and steady cushion of air. Holding the breath back too much can create tension in the throat, jaw and vocal apparatus, creating vocal weakness and inconsistency. Realize that 'don't use it' is just a hyperbolic figure of speech! I keep saying it because, especially for those who push too much breath, it works! Alternative phrases I use that get breath pressure balanced: 'Back off pressure, add passion' Don't leak! And... Don't leave a breath mark on a glass window pane in front of your mouth. The richest and most communicative voice requires active facial language. A zombie, frozen or poker face will sound mechanical, bored or disengaged - not the sound that gets the typical response you want for your message! If you've been singing or speaking with a blank face, just learning to move your face may seem weird and even tiring at first. But like most things, you have to find the balance. Using active facial language correctly shouldn't create facial fatigue or tension... in fact, it should help release tension! Don't over-stretch your tongue or jaw. Definitely avoid holding a squint in your upper cheek area, which can cause your soft palate to freeze. Here's where the synergy of Power, Path and Performance can help. When performing as singer or speaker, really focus your mind on the heart you're communicating to. Now imagine that person is at least partially or selectively deaf. Use active facial language that would enable the person to 'read your lips' and know both what you're saying and what it means. Simply put fingertips together about mid-chest level and lightly press them into each other to straighten the upper spine, opening the ribcage and the throat. This is something I teach all my students to do in exercises, as well as in the studio (where I call it studio hands). The wider diaphragm instantly increases breath control, and the open throat increases access to resonance and therefore, this technique increases vocal ability. It also instantly decreases vocal strain. When people try this for the first time, a common mistake is to press fingertips together too hard, creating shoulder and neck tension and paradoxically tightening the ribcage. You can also press too lightly, which does nothing. The first time you try it, do it while you're standing with your back to a wall. Don't allow your head to move forward when you press your fingertips. If you have a wider chest area or bulky shoulders, you can try pressing the longest two fingers together, or put a back-scratcher between your palms and lightly press in. Don't use your pectoral muscles, just forearms to hands. Also, don't be stiff about it, just loosen up and experiment as you vocalize. As with everything... if it doesn't help, don't do it. You can always contact me if you want me for a lesson to personalize this for you. No matter what genre of music you do, you need to be understood to get a response to your message, right? Even slurred genres require articulation so that the audience for that genre can understand the lyrics. And of course, if you're a speaker, mumbling will not communicate. Synonyms for articulation include pronunciation and enunciation. In verb form we say articulate, pronounce, or enunciate clearly. Over-articulate for the genre you're singing in and you'll be heard as inauthentic (fake), overacting (fake) and/or yelling (LIKE TYPING IN ALL CAPS!). This is an easy one... straighten both upper and lower curves of your spine. Don't go overboard and assume stiff military posture. Freeze your spine and your voice will complain! Another mistake is to think well, you've got a bit of scoliosis so you can't ever do this. Stand or sit flexibly tall. If this is tiring for you, do some core physical exercise and strengthen your back muscles with exercises like free weight rowing. Not only will your voice thank you, your whole body will benefit from deeper breathing and core strength. And if you do have scoliosis... I've trained plenty of voices with that spinal condition and it really doesn't take much to make a big vocal difference. Just stretch a little taller and balance your weight on both heels instead of just one. It is my firm belief that if you consistently use great vocal technique, even though long performances can tire your physical body they don't have to tire your voice! If you try to go from 0 to 100 and play 'survivor of the vocal chord', you will be misunderstanding my suggestion. Just like any athlete, if you haven't been singing much, or there have been long stretches between your performances, you have to re-develop your muscular stamina. To avoid vocal strain, it's critically important to sing full voice for a week or two... at least 4 days... with great vocal technique before a long performance. Creating flexible lift in the soft palate is important to your voice, which wants access to movement in that area. Squinting is how most people over-do this suggestion. Tension in the upper cheekbones will ironically cause tension in the soft palate, and lead to all kinds of vocal mischief. Think Mona Lisa smile, or 'I know what you did last summer'. You know.. There are methods out there which try to counter the over-dropped larynx of classical singing. My warning is not to try to freeze the position of the larynx. Even for popular genres of music and definitely for speaking, the larynx needs freedom of movement at the direction of the automatic nervous system. I like what vocal coach Lisa Popeil suggests: the larynx should be allowed to raise, lower and tilt in the neck. As long as you aren't really aware of it without putting your fingers on your Adam's/Eve's apple! Your voice shouldn't feel strain! There is a definite need for training that relaxes counterproductive tension in the mind/body/voice. However, to sing or speak confidently and get a powerful response, something's got to give! I would rather say 'relax everything that doesn't need to tense'! Power your voice from the pelvic floor, through active facial language. Then your big muscles may make you hungry from the effort, but your voice will practically float out to your thrilled audience! Read this blog post and learn how this teaching can collapse the ribcage, sabotage the diaphragm's control of breath and result in one of the most destructive vocal training concepts out there. What about you... ever been hurt by vocal training? Your story can help protect others. Please share it in the comments.